> Camiseta Gears of War (Markus red)negra manga corta. 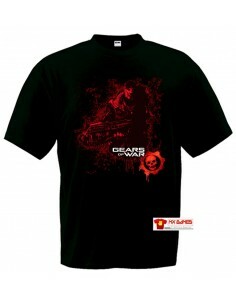 Camiseta Gears of War (Markus red)negra manga corta. Camiseta Gears of War (Markus red) negra manga corta.Camiseta inspirada en el personaje principal de Gears of war Markus Fenix.